We made a cycle map of The Hague in English. You find two maps, 3 cycle routes and lots of points of interest. 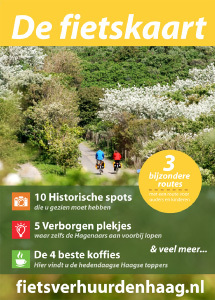 You can get the map at the Tourist office, VVV, or with us.